Sometimes we think that people behind pirate streaming website services are one hundred percent evil. Of course, that isn’t always the case. Sometimes circumstances change people. A lot of people think pirates aren’t exactly nice people. But even when pirates get smacked with prison sentences and what not, you do get that horrible feeling sinking you from the inside. Governments and law enforcement agencies punishing pirates with longer jail sentences bodes for a really dark future. People have written about piracy for more than a decade now. And most of the time, their viewpoint change and sometimes twists and turns too. But the one thing we should not forget is that pirates are humans too. And that’s why some have taken the responsibility on themselves to speak about issues related to piracy and how law enforcement agencies along with copyright holder groups try to deal with them. We have all heard those stories about law enforcement agencies fining and jailing site operators. But even if you have prior knowledge, the beginnings of a car crash event doesn’t get any less distressing. In other words, pirates are human beings. And we should try to think about them as one. It isn’t hard to roll back a few years to the beginnings of the popular file sharing technology known as BitTorrent. To put it simply, if someone asked you to make a list of websites that offered file downloads and what not, you would probably take less than a minute or two to rip out four to five good file sharing websites. In other words, people could list out good file sharing sites without much difficulty. Because, at the maximum, people had about ten or a few more file sharing websites to list on any list. Everyone knew about these ten or so file sharing sites and they did not hesitate in sharing that information. Of course, that doesn’t mean that the internet consisted of ten file sharing websites. It just means that the dozen of other file sharing websites didn’t have that big of an audience. And there is nothing wrong with. You always need niche sites that have a smaller number of visitors to keep the traffic moving and the community thriving as a whole. In other words, back in the day, people had these five or ten really known websites. And then they had lesser known sites of other types. These sites didn’t have a huge following. Their most regular visitors were the site’s own operators and managers. After them, a few other people followed these smaller sites as well. Of course, then things changed. 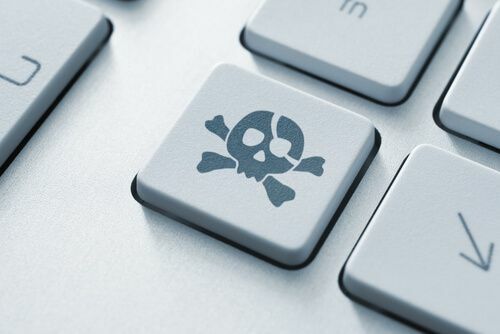 Piracy sites don’t have long lives due to copyright holder group efforts. Out of nowhere if we are talking about specifics. Everything just multiplied at lightning speed. To put it another way, in the last decade or so we have seen so many websites go up and down that it has become impossible to keep a track of all the file sharing sites and technologies. Developers give birth to sites like mushrooms. Some of these sites only get as much face time as one night and then they are gone. Most sites though stay in the online web for a much longer period of time. And that is why the list of good file sharing websites has increased to astronomical numbers. In the modern world of the internet, there is no one comprehensive list of best file sharing websites. Whoever claims that, is either ignorant or deliberately trying to mislead people. No news agency or dedicated website can keep tabs on all the file sharing websites and their advantages plus disadvantages. But there are always those people who try to do the impossible. Or at least they think they are trying to do the impossible. What we mean to say is that some anti-piracy groups believe that they are close to forming a comprehensive list of file sharing websites for the first time ever in the history of piracy. And that is the reason we are also interested in keeping up to date on the latest happenings in the world of file sharing and piracy websites. News Sites Come Online Regularly. Just because a site is new doesn’t mean it doesn’t have any significance. And that’s why we are always on a lookout for new file sharing websites that show some promise. MOreover, it isn’t just sites that we keep an eye on. We also like to track services that have increased in numbers rather rapidly. And that’s why the list of best file sharing and streaming sites has gotten bigger and bigger. What you need to understand about these sites is that not all of them have big business people behind them. Some barely have enough money to survive online. But that’s where things get interesting. These sites seem to come out of nowhere. And if you aren’t informed enough, these sites will become the biggest file sharing websites in a blink of an eye. And that’s what makes the whole situation so interesting. The quality of being unpredictable is an exciting quality. Piracy industry has become very competitive now. And all of that has become possible because of the different players who are always jostling with each other for more market share. Most of the times, sites like ours try to figure out how did a particular file sharing website burst onto the scene. And made it to the top in such a short amount of time. We also like to think about whether we should feature such a site in our news stream. Of course, that also brings up the possibility of getting in touch with the people behind these websites. So How Do You Get Information About Such Sites? Well, the process itself is a basic one. You start off like you live in the 18nth century. In other words, ask other people. Ask them about any information about the new site. Ask your contacts that you might have taken years to build up. But of course, it is times like these that we thank the likes of Google and YouTube for bringing us some really useful tools for free. To put it another way, a little web search about a given website has never hurt anybody. These internet tools are great when it comes to the task of finding information about a particular website or any online service for that matter. The first thing we try to pay attention to the hosting. How does the site host itself? Or more simply, who hosts the site. Of course, services like CloudFlare don’t make the completion of that task any easier but it isn’t impossible either. So which place do we recommend when one starts to search for a given file sharing site? Well, the one service that we trust while doing research is WHOIS. That’s where we make our first port of call. And if you are looking for basic domain information then there are very few places which are better than WHOIS. In the very early days of the internet, websites and services such as WHOIS were considered to be gold mines. They aren’t as useful now as they were before. And all of that has happened because of the increased awareness among the common internet users how to take advantage of the internet and more specifically, online services. Of course, there are always hiccups. Pirate streaming websites and services aren’t always exactly reliable. So, even sites and services such as WHOIS sometimes don’t give you what you want to know. Streaming websites are all the rage nowadays. Some predict that these streaming sites will eat up the Torrent industry and hence then would get into trouble for streaming copyrighted content on the internet without prior permission from the creators of that copyrighted content. 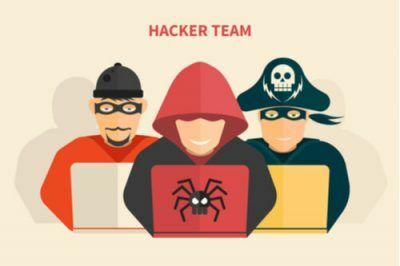 Just a couple of months ago, we saw a new pirate streaming website (or an online service if you want to call it that) that attracted quite a lot of media attention on several online discussion forums and platforms. People who used the new pirate streaming website or service said it had a good service. Some even said that this new pirate streaming website could become the greatest streaming website in the world in a very short period of time. In other words, the site received a lot of praise for its work in the streaming business. The related media outlets also praised the people who worked day and night behind the scenes for the new pirate streaming website as well. But when we tried to research the site a bit more, we couldn’t find much. Of course, the people who are operating these websites, don’t want a lot of media attention. And they certainly don’t want reporters contacting them on behalf of some news website to ask about their activities and operations. So we won’t fault them for that. Regardless, this information is important. Important information such as that of the people behind a given good file sharing website is what other people need to form a broader picture of the whole industry. Sometimes we forget that pirate streaming sites have people behind the scenes working hard to make a living as well. We didn’t do anything but to read more about the new pirate streaming website on other news websites. Our friends over at TorrentFreak did do something about it and we thought it would be a great idea to talk about their experience here on Security Gladiators. Basically, people from TorrentFreak went to their trust website WHOIS to find more information about this new pirate streaming website. And as per their admission, they didn’t expect to find anything useful. When they went to WHOIS and input some text to search for the new pirate streaming website and its particulars, they managed to find some names and an address. But most of the times, these names are fake. And addresses are of no use as well since these too are mostly fake or false. And that’s the “bad” that has happened to online services such as WHOIS. Their information is not of much use because people don’t really provide the correct information when they register new websites. So the folks over at TorrentFreak did something else. They used Google Street View. Google Street View showed these people that the new streaming service’s address did indeed exist. But the address still did not manage to stand out as legitimate or authentic. However, the team at TorrentFreak kept going. And finally found an email address. Then they use reverse-engineering, or sorts, on this email address. And their search made it clear to them that the same email address connected multiple websites to the same individual behind each of the found online services. The Good Old Days Or Maybe Not. TorrentFreak guys did show a lot of patience and gumption. But what would have happened in the old days? In those days, people didn’t think twice about isolating their new or established pirate (online) activity from some of the other things they did or did not do. So, the search method TorrentFreak used to get that email address proved quite useful. But we have moved on from those times. And we have done so rather quickly. People are more clever and internet savvy than ever before. Of course, there are still those who don’t know all the tricks in the book when it comes to operating a streaming device, but for those who work in this industry, having a lot of knowledge about how to hide your identity online is a must and hence they have it. Now, remember when we told you that TorrentFreak found the same name present on some of the other domains which had no relation to the piracy related domains? Yeah, it turns out, that even though the name didn’t match on each of these names, the street names sometimes did. TorrentFreak guys also found out that one of these domain names also had the facility of a phone. And hence had given out the relevant phone number. TorrentFreak confirmed the number as real. And hence, after not a lot of hard work, TorrentFreak guys had most of the things they needed to track down and then talk to the people behind the new pirate streaming website. In other words, TorrentFreak guys now had a legitimate name, a legitimate email address, and a genuine telephone number. It doesn’t take a genius to figure out that TorrentFreak guys had everything they needed to perform a simple Google search to find out more about the new pirate streaming website. And that’ what they did after carefully formulating a simple Google search. Google search engine gave these TorrentFreak guys a handful of search results. One of these search results stood out from others because of its content. Google had already indexed the most interesting page that it showed to TorrentFreak people when they searched for the new pirate streaming website. But information regarding a post on the related third-party wasn’t there. Probably because of its outdated nature. Of course, we are talking about internet search results here. And we know the universal truth about the internet, don’t we? That truth is whenever something reaches the internet, it tends to stay there forever. And unless it is a video of the Secretary of the State of The United States Of America falling from his bike while racing in a Tour De France like event in Europe, you bet you can find whatever you need to find in the online world. And then there is also the Google cache to deal with. TorrentFreak guys obviously knew these facts. And hence used the Google cache feature to restore the deleted post. And there it was, in all its former glory. The research result actually turned out to be a forum post. TorrentFreak guys reported that the post looked like it came from a reasonably likable and unemployed male online user. The post made it clear that the guy knew what he wanted to talk about and could handle computers really well. People Need to Think About Pirates As People. Of course, all this information doesn’t mean piracy is okay. This is the part where we try to connect what we said in the beginning to what we have described just now. The person behind the new pirate streaming website with a lot of quick following was just a human. A human trying to make ends meet when he couldn’t find a job. We obviously can’t say exactly what people think about when they think about pirates. But we can certainly take a guess. Most of the time people think about pirates as hooded people who operate these streaming websites from dark basement rooms with no windows. 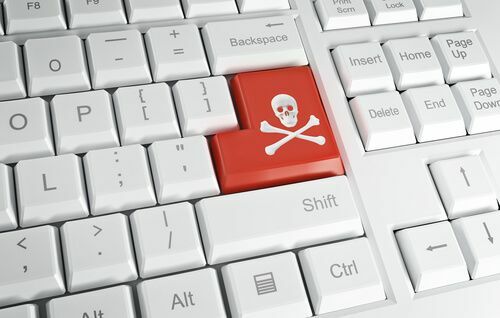 Some even think that all pirates and hence piracy websites are like The Pirate Bay. The Pirate Bay is for sure different. They have this “screw all of you” mentality. And sometimes it helps them. Other times it goes against them. The guy behind the new pirate streaming website politely told the forum online users that he had conclusive skills to manage servers. But because of depression, he couldn’t hold down a full-time job. You could fault him for engaging in piracy but give him full marks for being upfront. In short, all pirates are not swashbuckling daredevils. And hence have real lives with a lot of vulnerable spots. Further details from this person’s posts also reveal information about other uncovered domains and other types of private information. This lead TorrentFreak to ensure that some of the other sites were also maintained by this same guy. TorrentFreak also noted that after a few weeks had passed since the “plea for work” post, the new streaming online service that prompted the new searches truly took off the ground. The guys at TorrentFreak also said that as far as they could tell, this guy didn’t look back from that point onwards. Of course, such streaming services are not reliable in the sense that they can disappear at any given time. 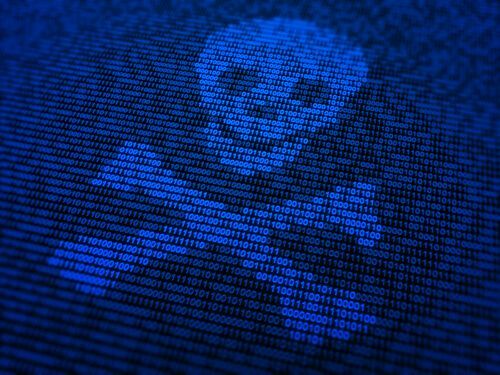 With just a few searches on Google, TorrentFreak guys found a lot of information on the guy behind a new pirate streaming website. This shows that even though the people behind these streaming services are computer geniuses, they have little to no idea how to keep their online privacy safe and secure. And you can bet that one or more copyright holder groups are already after the guy’s streaming website because of the traffic it is attracting. We know what happens to large-scale pirates in the UK right? Of course, TorrentFreak could have it all wrong too. If we assume that the “depressed” guy isn’t really a depressed guy and has just used the forum as a decoy image. If that is indeed the case then perhaps this is one of the best decoy jobs any pirate has ever taken.